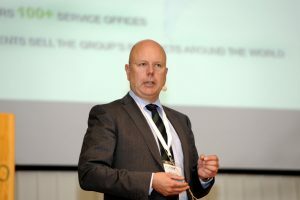 Martin Brandt (KLOK Kooperationszentrum Logistik e.V. 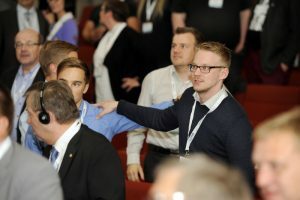 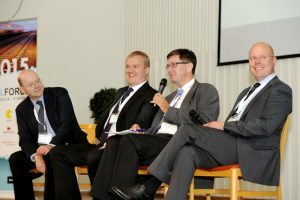 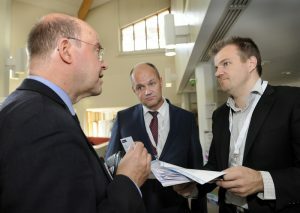 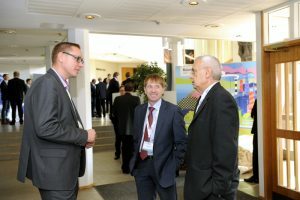 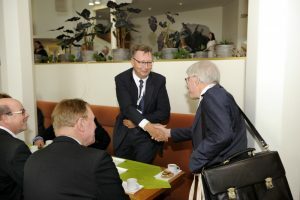 ), Risto Wallin (Kouvola Innovation) and Heikki Lahtinen (Limowa ry). 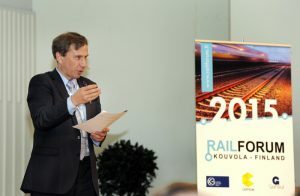 City Mayor Lauri Lamminmäki 2015. 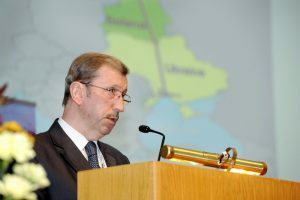 Alexander P. Ostrovsky, the Belarussian Ambassador of Finland. 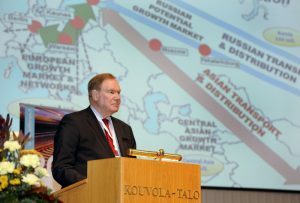 Paavo Lipponen, the Former Prime Minister of Finland. 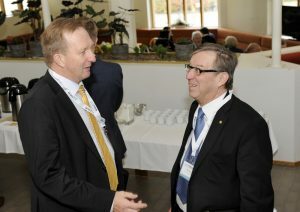 Reidar Wasenius, Seminar Presenter and Personal Brainer. 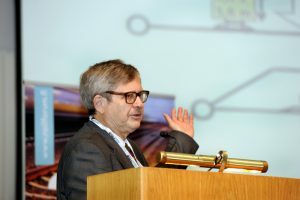 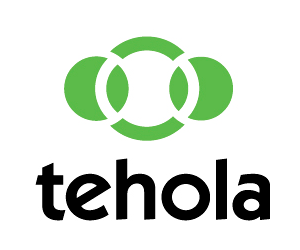 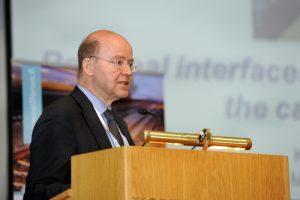 Bo-Lennart Nelldal, Professor Emeritus, Royal Institute of Technology, Sweden. 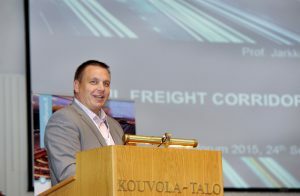 Jari Voutilainen, Senior Vice President, Metsä Group, Logistics, Finland. 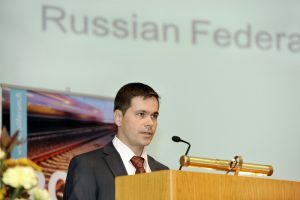 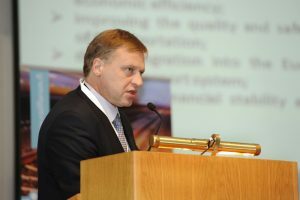 Evgeny Zarechkin, Head of the HRM Center, Moscow State University of Railway Engineering, Russia. 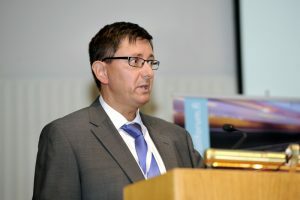 Martin Brandt, Project Manager, KLOK Kooperationszentrum Logistik e.V., Germany. 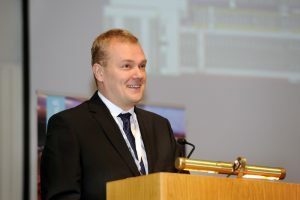 Jarkko Rantala, Professor, Tampere University of Technology, Finland. 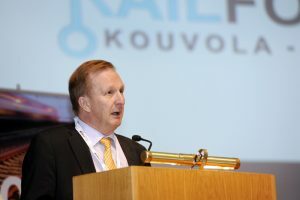 Klaus-Uwe Sondermann, Authorised Representative, KombiConsultant Gmbh, Germany. 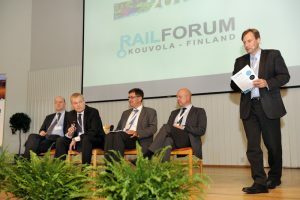 A panel discussion: The future of railway hubs and corridors. 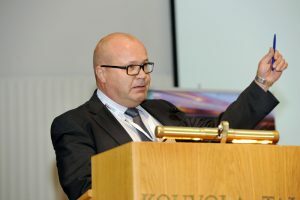 Martti Husu, Managing Director, Kouvola Innovation Oy.